Just ordered a new set for Owl Posse and am eagerly awaiting them in the post. I’m sure I’ll have a lot of fun handing them out. 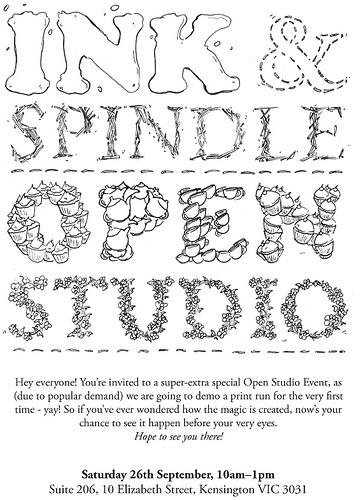 For more details check out their blog. 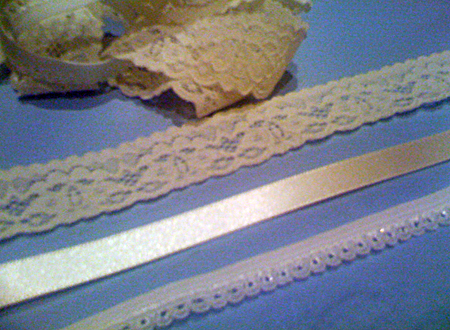 Went down to Rathdowne Fabrics this weekend and picked up some gorgeous blue knit, and cream coloured trim. Am going to sew up a batch of underwear next weekend. I think they’ll come out really pretty and delicate. Apologies for the terrible photo. 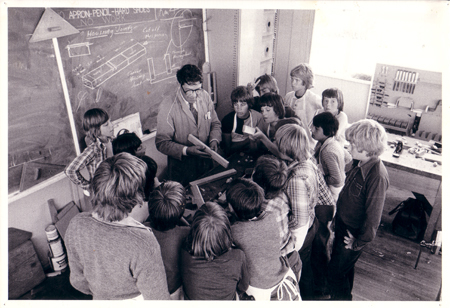 This is my grandpa in his prime, teaching a wood work class in the 70′s. Everything about this picture is my grandpa to a tee. He was charismatic, funny and loved to teach others. Working with natural materials was his passion. Although he passed away a number of years ago, this is how I like to remember him. He never got to see me become a teacher in his footsteps, but I know I’ve still made him proud. I have this picture on show in my apartment so I never forget his generosity towards others. To Arduino or not to Arduino? Earlier this year I attended an Arduino workshop run by the lovely guys at Little Bird Electronics in Sydney. An Arduino board is an electronic micro processor which runs off a USB connection from your computer. It handles digital/analogue input/output. In English, it allows you to create your own cool robotic gadgets without having to be a electronics genius. For example, connect a light sensor to the board, and it will send light readings back to the computer. It can even process these readings itself, and then send a message back to another connected component on the Arduino (like a motor, and an LED display). This week I fiddled with a potentiometer (pot, or a type of dial you can turn) and fed the values real-time into Flash. Using a small program to write the pot values to serial, Flash was able to pick them up through a proxy. I could then use these values to change the properties of an object on the stage. The most effective result came from changing a shape’s (in this case a circle) alpha value as the pot was turned. It was a really good test to see how well Flash handled the incoming data. I’ll need to tweak the read speed a little to get a faster response before I move into one of my planned projects.